Demetrius K. Williams was born and raised in Milwaukee, Wisconsin. He was the last of eight children born to Timothy and Bessie Williams Sr. He comes from a tradition of Baptist ministers beginning with his paternal great-grandfather, the late Rev. Joshua Williams and his two sons, the late Rev. Oliver Williams (his grandfather), the founding pastor of the Unity Missionary Baptist Church in Milwaukee, Wisconsin, and the late Rev. Robert Williams. In addition, his maternal Uncle, the late Rev. Herman Pryor, Sr., was the founding pastor of the Hopewell Missionary Baptist Church in Milwaukee, Wisconsin. It was under his uncle’s ministry that Dr. Williams received his call to ministry and was licensed to preach. It was also within the black Baptist religious tradition that his theological and spiritual formation was developed. It was this religious foundation and that of his family that prepared Dr. Williams to pursue higher education in order to equip him for a learned ministry. Receiving his call to ministry in 1981, licensed in 1982, and ordained in 1988, Dr. Williams has over 30 years of ministerial experience. 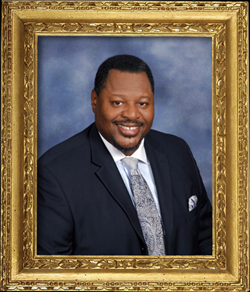 He has served as senior pastor of the Pleasant Hill Baptist Church in Dorchester, MA from 1992-1996 and as interim pastor at the Beecher Memorial UCC church, New Orleans, LA from 2000-03. He has also served as a supply preacher for several churches in the New Orleans area. In his pursuit of higher education Dr. Williams received a Bachelor of Arts (B.A.) degree from the University of Wisconsin-Milwaukee in Comparative Religion in 1986, a Master of Theological Studies (M.T.S.) in 1988 and a Master of Divinity (M.Div.) in 1990, both from Harvard Divinity School. He completed in 1997 a Doctor of Theology degree (Th.D.) also from Harvard Divinity School. Dr. Williams was formerly an Associate Professor in the Department of Classical Studies and Director of the Religious Studies Program at Tulane University, New Orleans, where he taught from 1996–2006. Since relocating to Milwaukee in 2006 after the Katrina hurricane, he has served as an Adjunct Professor in theology at Marquette University and continues to teach as an Adjunct Professor at the Central Baptist Theological School (Shawnee, KS) at its Milwaukee center. He also currently teaches at UW-Milwaukee in the Comparative Literature department and in the Religious Studies program. 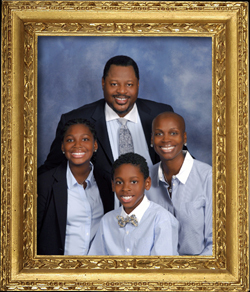 On January 2, 2009 Dr. Williams began his pastorate of the Community Baptist Church of Greater Milwaukee. Besides service to the faith and academic communities, Dr. Williams has also contributed to the scholarly community publishing several articles in New Testament studies and in African American Biblical interpretation. His first book based on his dissertation, “Enemies of the Cross of Christ”: The Terminology of the Cross and Conflict in Philippians, was published by Sheffield Academic Press in 2002. His second book, dealing with and affirming women in the preaching and pastoral ministries, “An End to This Strife: The Politics of Gender in African American Churches, was published in 2004 by Fortress Press. In addition to his past and recent literary works, Dr. Williams was invited by Duke Divinity School to offer the Martin Luther King Jr. Distinguished Lecture Series (April 1-2, 2008), honoring him for his dual work and calling as both a scholar and a minister. Dr. Williams is married to the former Robin R. Rucker. Mrs. Robin R. Williams is also a native Milwaukeean. She received her Christian formation at Mt. Carmel Baptist Church, where her mother, Mrs. Vera Rucker, was a faithful and dedicated member and where Robin sang in the choir and participated in other youth related church activities. Robin graduated from John Marshall High School in 1983 and matriculated soon thereafter to Southern University of Baton Rouge, Louisiana. Although she has held several positions in the work force from working in the United States Post Office and Marshall & Isley Bank to teaching in the Milwaukee Public Schools, she is now a stay-at-home mother, which allows her the freedom not only to serve her immediate family’s needs, but also to volunteer time for service to the church and community. Robin’s driving passion is cooking and entertaining guests. Inheriting these qualities from her late mother, Robin loves to cook “down home” meals at any occasion to share with family and friends. At any time, family members, church members and friends might receive a call to “come get a piece of cake” or a dinner plate. Although she sings in the CBCGM Choir, she considers the gift of hospitality and cooking, and providing a stable and loving home for her husband and children as her own special calling and ministry. Their two children, Demetria Taylor and Demetrius Kelvin II, both love church, participating in Sunday School, youth related church activities, and especially the BLAST Bible Study. To be sure, we seek to model the values of family, dedication to the church and community, and faithful service in the goal of building God’s kingdom.